Former Watford striker Odion Ighalo has announced that the level in China is a lot higher than he was expecting, as before the move people had told him the level was very low and he would be getting goals for fun. After completing his £20 million signing for Changchun Yatai however, he quickly realised this was simply not going to be the case. He does admit that the league is still, however, a developing league compared to most of Europe despite the money being pumped into it. He went on to imply the influx of so many foreign coaches and players is continuing to make it difficult to score. The foreign players and coaches have raised the level but it’s still to be seen if this will help the development of homegrown Chinese players in the long term as right now it does seem like it could only be a short-term fix. If the benefits of investing in foreign players and coaches are to come to fruition it won’t happen instantly, with the development of talent being a long-term project. So we won’t be able to see anytime soon if China throwing their money around will become beneficial. For every Tevez there is a Hulk though, where Tevez clearly hated China and couldn’t wait to leave; Hulk genuinely seems to be loving life there. The idea is quite clear that having Chinese players train and play with the calibre of players like Hulk, and Oscar is going to benefit them in the long-term. It won’t always work out the way they want but they’re throwing enough mud at the wall which means eventually some will stick. It will be seen with the next two or three generations of Chinese homegrown players coming through the youth systems that have more experience of playing with a higher standard of players, and being coached by better coaches and managers will eventually churn out a better quality of Chinese player. 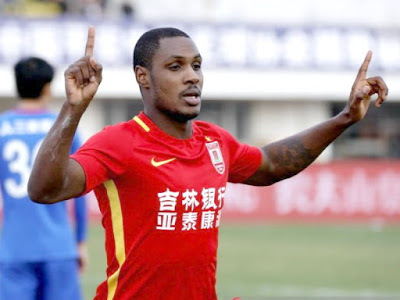 For this reason, Ighalo is correct, and the Chinese Super League will continue to get stronger over time, especially if they keep drawing the same level of money into it as they are now. Ighalo finishes his interview with the BBC by saying that other African players should move to China to enjoy earning good money and seeing a good culture. Nice to see he put money first because the world knows that’s the main reason most players go there, so him not denying it is refreshing. Ighalo has been playing in Nigeria’s World Cup warm-up squads as he fights to earn a place in the World Cup finals that take place in Russia this summer.